Booked two night in the same day for check in. Me and my wife were bitten by bed bugs! Mutliples podka dot were around our hands and leg. The property itself look good from the outside but under maintenance as the reception counter were full of dust and old stuff, book shelf were used for helmet storage. Car cannot be access in the property because the space of the road were narrow to fit two bikes in one time. Room is one of the worst as filled with spider web on the ceiling and pillow and blanket sheet were dirty black colour. Satellite tv cannot be watch as the channel is limited, the sound will go off in every ten seconds then recover back. If I have a choice I definitely won’t book this property again. Great budget hotel with close eateries nearby...if u are riding following the GPS route to the hostel becareful......when nearing e hostel about 100 metres it will lead u to a path where there are stray dogs do not panic and juz avoid eye contact and ride slowly away. Try the ice latte and local food by the roadside it is nice. we stayed 4 nights at u house. it was comfy room and big space. view to the garden. bed are clean. staff so helpfull there is pool in the lobby, we swim everyday. but the hotel is far from main road. and car cannot enter the road to u house. over all oke.. It's reasonably clean, bedroom is very spacious, with a pantry, TV, internet and balcony. Their laundry quality is not great. I brought my own towels so that solved the problem. Bedsheet and blanket has a weird smell to it, like it was not properly dried, but it was bearable as it didn't interfere with my good night sleep. For the price, it is a fantastic place. 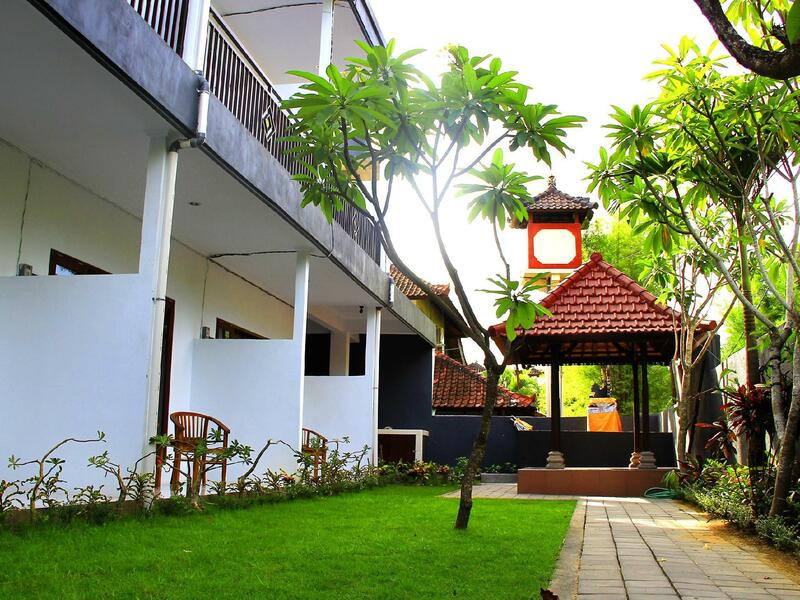 Not far from the Seminyak area where all the action happens. A bit far walk to the beach though. 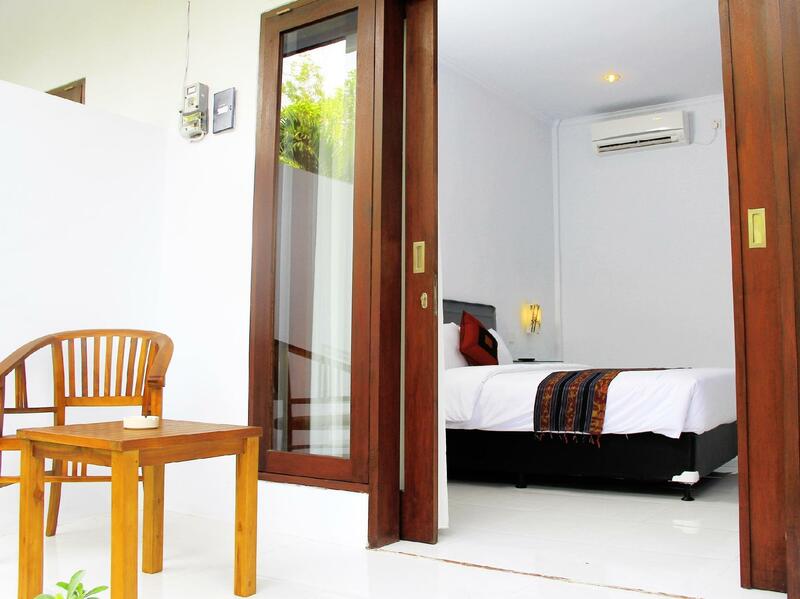 The place is situated near the heart of Seminyak, about 5 to 10-minute walk to Seminyak Square. Spacious room, clean sheets, ample bathroom. The only downside is that it is not on the main road, and the alley that leads to the place is very narrow. Staff are friendly. Hotel provides motorbike and bike rental too. It also has a pool. We found Uhouse by a friend's recommendation. Our flight was severly delayed, hence we arrived at 3:00 in the morning. This was no problem and 5 minutes of checking in we were shown our very clean, airconditioned rooms. The room was big and spacious and very quiet. Local bars are situated within walking distance, however we rented a scooter to get around more easily. All in all, an excellent hotel with great service. We would definitely come here again! the rooms are spacious and clean, the pool is great and the guys working there are friendly and cool! I think it is actually the best value hotel I've ever stayed at. Really cheap for how nice it us. they could charge a lot more. No breakfast but you can get it delivered in a few minutes from a great place around the corner. Noisy (motorbikes whizzing by the narrow lane-way at all hours). But apart from that, all was good. Staff are friendly. Place is clean. Bed is comfortable: Advice would be to take some ear plugs and some mossie spray then it will be a really pleasant stay. Will definitely stay at U House on my next trip. Room was spacious and comfortable and location is 10 minutes walking from my favorite coffee shop and 15 minutes from the beach. Staff were great and attentive. Despite it tricky location, 2 minutes walk from the main road, U House is totally value for money. Cheap and clean room. Good location and nice staff. This hotel is not in a walkable area. You will need motorbike or transportation. They have motorbike available (we paid 50k). The entrance is located down the small alley next to the “JFC”. No cars can drive here, so you will have to walk down the alley from the main road. The hotel is good and clean! Just know it will be hard to walk anywhere. U house is nice place. Rooms are simple but comfortable and stylish. Location is far away from beach but there is restaurants and some shops near. For me it was not too difficult to find. The alley is little dark but there are lights neat the hotel at the wall and the wslk by the alley is not long. Nice balcony facing to the vegetation. Thete is no restaurant at the hotel. But the pool smells like chlorine pool, i jumped out the pood right after i jumped in. 0,7km from center of activities but without any street light - the way back to hotel feel like forever. Staff told us that just 5 mins walking you can reach the beach but after 30 mins of walking we gave up and took a taxi go back to hotel. The only positive thing is KULTUR restaurant so near by - just few steps - the good and reasonable restaurant. after my partner had a pretty serious fall outside the property the staff were amazing, giving us a free lift to the hospital and helping administer first aid. Due to the injuries she sustained we ended up staying 2 extra nights. Couldn't think of a better place to recoup!